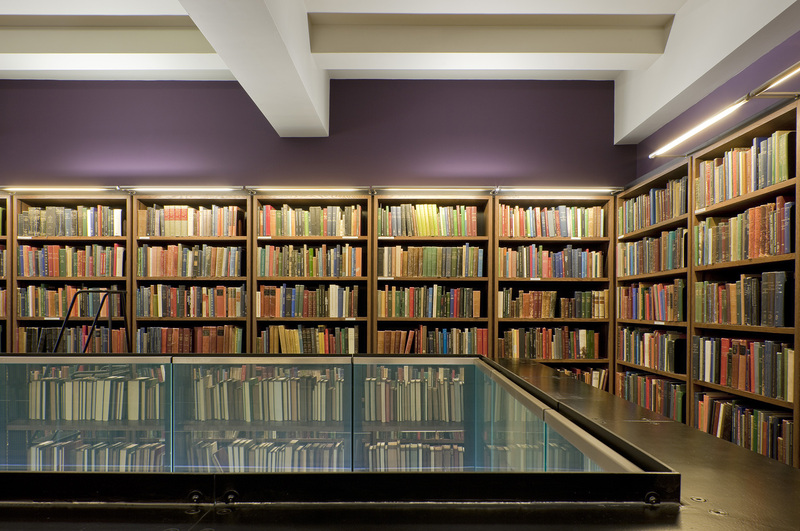 The London Library is a registered charity in England and Wales (charity no. 312175). 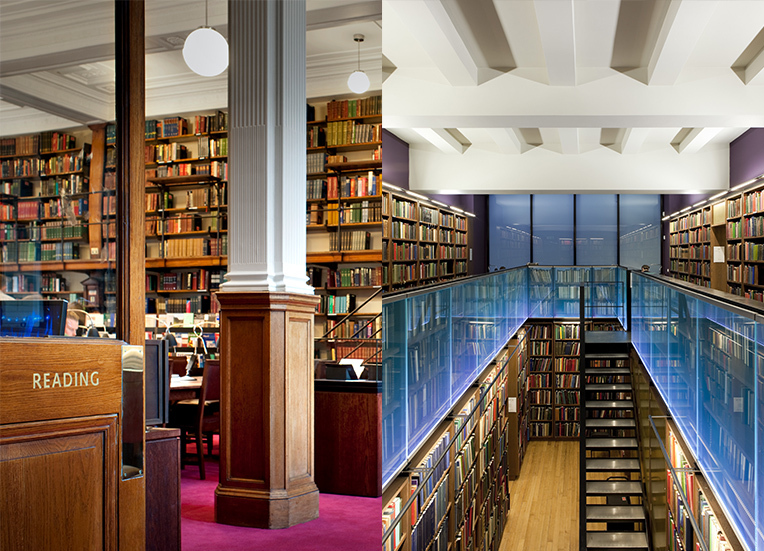 We receive no government funding and rely on the commitment of our membership and generosity of those who donate further to the Library. 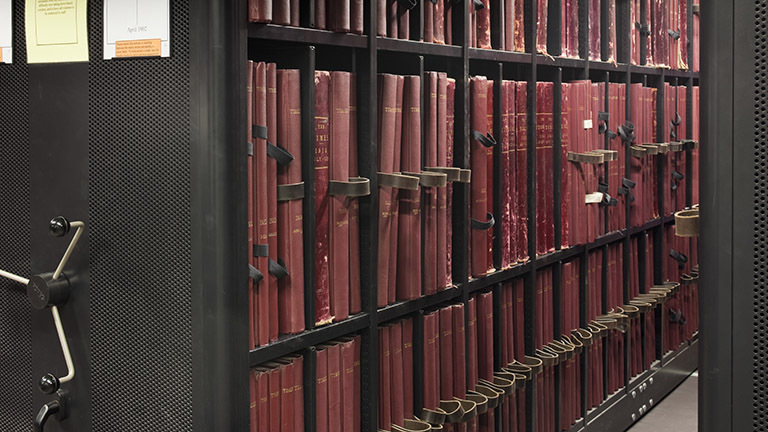 We take the privacy of everyone who engages with us very seriously and this policy outlines how The London Library will manage all the information that we hold on you and give you further detail on how you can change how we managed that information. The London Library is the ‘data controller’ for the personal information that you provide us; and that we collect, use, and store. This activity is done in accordance with Data Protection law including the incoming Data Protection Bill (EU General Data Protection Regulation) and the Privacy and Electronic Communications Regulation. 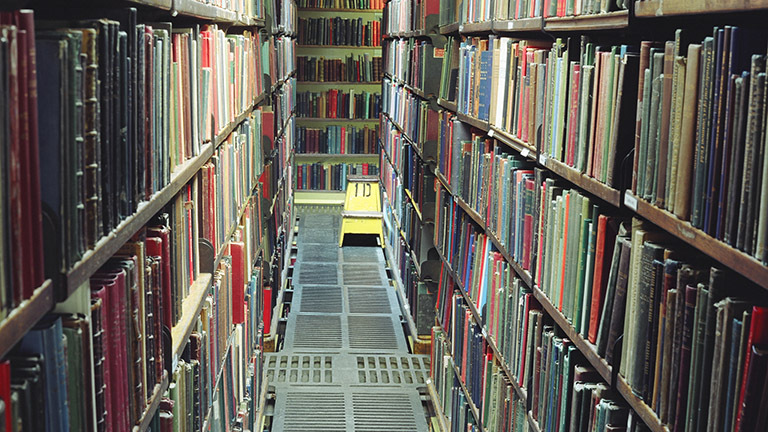 The London Library retains, collects and uses your information in order to undertake activities necessary to the Library’s operations and development. We are committed to protecting your privacy and security, and we promise to respect any personal data you share with us. When you provide your data we aim to be clear about how we will store and use it, and not to do anything with it that you would not reasonably expect. In this policy we outline what information we retain, what information we collect and from where, how we use that data and how you can contact us to change how we hold and manage your data. You have the right to ask for a copy of the personal data we hold about you. This is called a ‘Subject Access Request’. We may in some cases charge an administration fee depending on the volume of work involved. You can also request to have the personal data we hold about you erased, to object to our use of your personal data, or to restrict the ways we use your personal data. To make any of these requests please see the further details below and then use the contact details above. You also have the right to update or correct the personal information we hold about you and where you have provided consent for us to use your personal information you always have the right to withdraw you consent at any time. We will respond to your request as soon as possible and no longer than one month unless there are exceptional circumstances. If you wish to change, update or correct your personal information please contact us using the contact details found in the Introduction. You have the rights to request that we erase your personal information, to object to our processing of your personal information and to restrict our processing of your personal information in any of the ways outlined in ‘Why we collect and use your information‘. There may be instances where we need to retain the data in order to process it for the purposes it was provided (e.g. processing a donation or registering you for an event) or where we are legally required to retain it, and we will explain those to you. Requests can be made using the contact details found in this policy. You also have the right to request to see the legitimate interest balancing exercise we have undertaken to ensure your rights as an individuals are not impacted and to object to the outcome of that exercise. For more information on legitimate interest within GDPR and The London’s Library’s use of it please see Why we collect and use your information or alternatively visit the Information Commission’s Office website (www.ico.org.uk). Your personal data is provided to us and collected in a number ways. In most cases we store and use the personal data you give us when you decide to interact with us. This could include joining as a member of the Library, purchasing temporary tickets to use the Library, attending an event, signing up to our e-newsletter or making a donation. In a small number of cases further personal information may also be gathered from public sources. And there may also be instances where personal data is provided by a third party, this will mainly occur when a gift membership is purchased or a book adopted for you by someone else. Visual information, in addition to your membership photograph, is also collected through CCTV footage in the Library in accordance with the CCTV Code of Practice and photographs taken during special events and other occasions. In any instances where photographs are being taken members and visitors will be notified of this in pre-event communications or posters. Personal information may also be gathered from public sources such as Companies House and published in articles online or printed. For more information about what we may collect from public sources see the ‘Why we collect and use your information’ section below. Finally information may be provided about you from third parties, for example a gift membership purchased or a book adopted for you by someone else. On occasion you may also be part of a mailing list that the Library has rented or purchased from a provider - in these cases you will have consented with the list provider to your details being shared with The London Library. In all instances we will store and use your personal information only for as long as it is relevant and accurate for its intended purposes. The main reasons for retaining, collecting and using your personal data are to fulfil your membership of the Library or any service or product you have requested or purchased. We want to ensure that we offer you a personalised experience, and inform you of events or updates you have asked to hear about or any additional information you need to know. We also use your personal information to understand our members, donors, visitors, prospective donors and customers - including their needs of the Library and interest in the Library. We only retain, collect and use your personal data when a legal basis has been identified for doing so, in accordance with Data Protection Law. 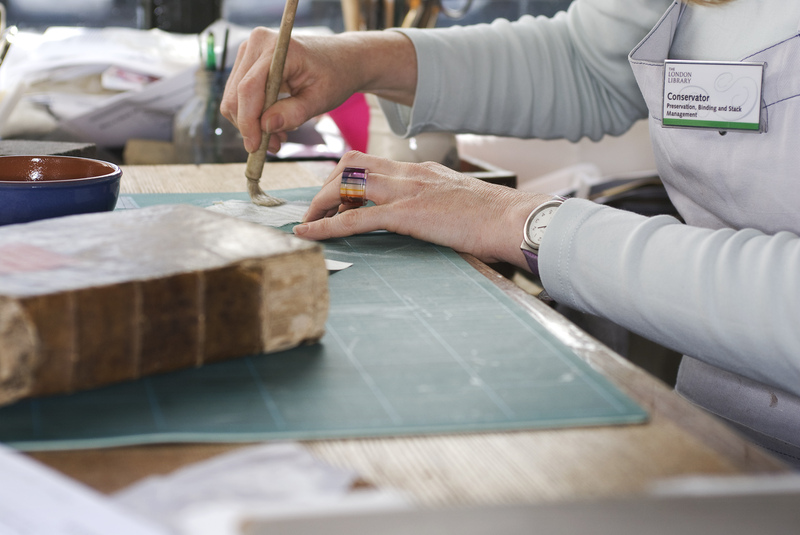 For most cases there are four reasons for such retention and processing that are relevant to The London Library; this is consent, compliance with legal obligation, legitimate interest or for contractual necessity. 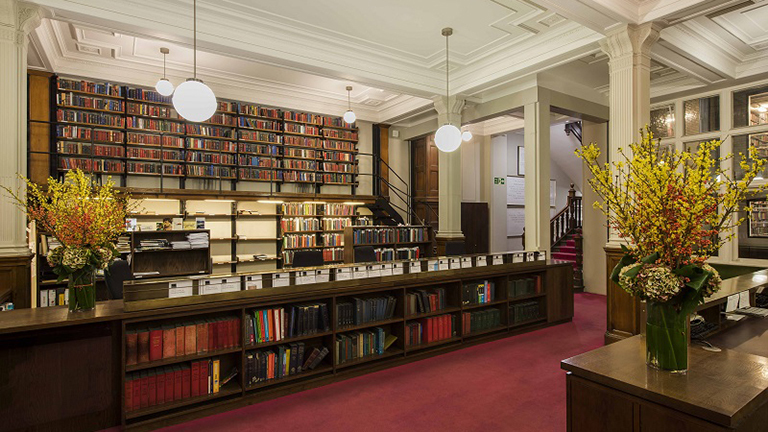 The Library has always relied on membership fees and philanthropic support to grow our collection and play a central role in the intellectual and cultural life of the nation. For this to continue we will, for a small number of our members and customers, combine the information you provide with publically available information and from business or network contacts. This is done in order to understand people’s engagement in the Library and ensures that we find and connect with those who have the interest and potential to support it. This enables us to fulfil our legitimate interest of knowing our members, visitors, donors and potential donors; maximising the impact of our charitable resources and avoiding distress through making inappropriate approaches; while being mindful of your interests and privacy rights. In doing so we can raise more funds in a more cost-effective way. In all instances we will balance our legitimate interests as a charity against your rights as an individual, for more information please see the Your Rights section of this policy. We may on occasion use a third party supplier to undertake these activities or analyse our data. These suppliers will be subject to contractual agreements in compliance with Data Protection regulations which includes not retaining your data after completing the activity. We will always give you the opportunity to choose not to hear from us about fundraising, other Library activities or to decline further engagement with The London Library. 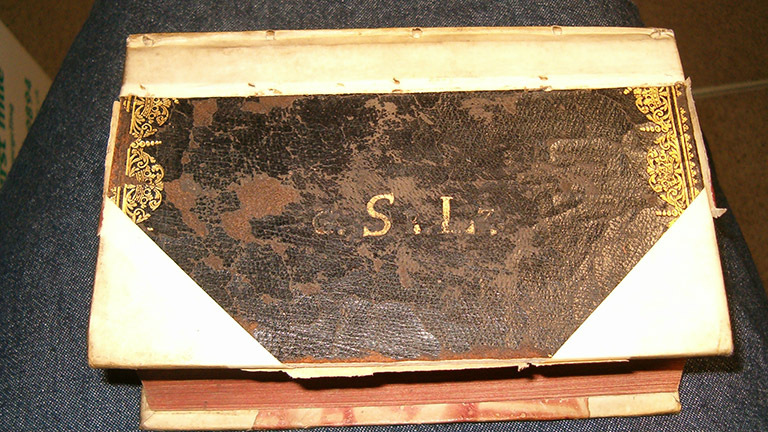 We may, in limited cases, use publically available data sources to identify individuals who we consider may be interested in discovering more about the Library. In making initial contact to introduce ourselves and find out if you are interested in learning more, we would provide an early opportunity to opt-out of further communication. In all instances we will only store and use your personal information for as long as it is relevant and accurate for its intended purposes. We believe it is important and within our legitimate interests to understand the Library's historical and future function as a library, its literary and cultural footprint and its impact over time. Voluntary or paid roles members may occupy in supporting Library events, external activities and communications such as talks, magazine articles, festivals, lectures, discussions, literary prizes or awards and any resulting output from the event whether filmed, taped or text. A record of joint or collaborative work with members and non-members or non-member organisations and any correspondence or communication which illuminates the evolution and activities of the partnership. We are committed to ensuring that your information is secure. In order to prevent unauthorised access or disclosure, we have put in place appropriate physical, electronic and managerial procedures to safeguard and secure the information we store. When we share any personal data we ensure that security is maintained through encryption. For more information on who we share your information with please see the ‘Who we share your information with’ section below. Credit card payments are handled by our payment partner Secure Trading. Organisations and suppliers based inside the European Economic Area (EEA) will be subject to the same data protection laws as companies based in the UK. In some cases, we will engage with organisations and suppliers outside the EEA included the United States, for example cloud-based systems, and if any of the computer servers used to host the website are outside of the EEA area. In these situations we will take steps to make sure that these suppliers provide an adequate level of protection in accordance with UK data protection law. By submitting your personal information to us you agree to this transfer, storing or processing at a location outside the EEA. We only share personal data that is relevant and proportionate for the practical delivery of a service for the Library (such as mailing the magazine). Our partners are subject to contractual agreements which to help ensure compliance with Data Protection legislation – this includes agreement that the third party supplier will not retain your data after the activity is completed. The London Library will never sell, rent, share or trade your personal data to third parties for marketing purposes without your prior consent. On some rare occasions we may want to share your data with carefully selected partner organisations who have worked with The London Library, in these instances we will always ask for your permission. 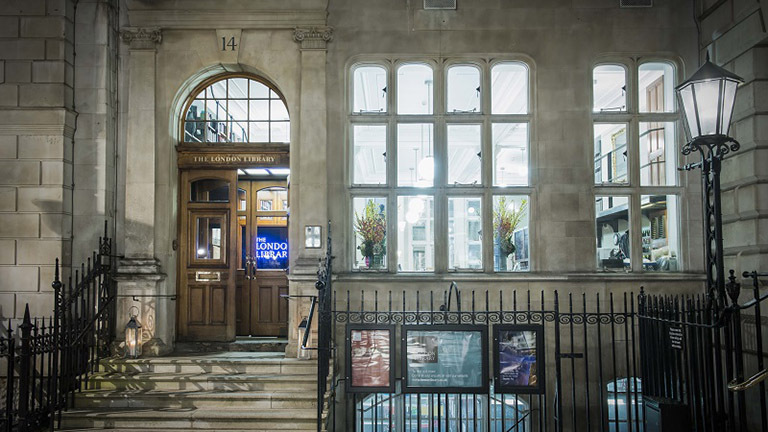 The London Library may share your information with our US based International Friends of The London Library (IFLL). IFLL have signed a legally binding contract to use, protect and store your data in a way that is legally compliant with UK and European data regulation. In all cases where we share your personal data it will be encrypted to ensure security. If you wish to raise a concern about the Library’s handling of your data you should first contact Peter Hyde at the Library. If you are unhappy with the response you receive from the Library, you can contact the Information Commissioner’s Office (ICO) at www.ico.org.uk or contact their helpline on 0303 123 1113. If you would like more information about the Data Protection Bill (EU General Data Protection Regulation) and the lawful basis for processing your data please see the ICO’s Guide to GDPR.